Last week, Reuters reported that the California Supreme Court threw out a motion to dismiss Overstock.com's lawsuit against Gradient Analytics and Rocker Partners. The process of discovery by the litigants on both sides will now begin. Information provided in the discovery process will be open to scrutiny by both sides and the public as well. Patrick Byrne probably believes that he can pull a "rabbit out of a hat" through discovery even though questions have arisen as to the credibility of his three main witnesses - former Gradient employees who have signed sworn declarations aka affidavits alleging wrongdoing by Gradient and its customer, Rocker Partners. If Byrne is aware of the Pandora's Box he has opened, it would surprise me. The man is so deluded and detached from reality that I doubt that he has the wits to contemplate the consequences of anything he does. Such as, for instance, being hacked to pieces by David Boies under penalty of perjury. Such as beginning a process in which every single thing that Overstock.com, Patrick Byrne, and his minions have done will be exposed to public airing. The fruits of this inquisition will be available for everyone -- you, me, the media, regulators, the SEC, prosecutors -- to feast upon. In an previous blog item entitled, "Did Patrick Byrne, CEO of Overstock.com, Deliver a Trojan horse to the Securities and Exchange Commission?," I raised the question as to whether Patrick Byrne used his company's lawsuit, filed on August 11, 2005, against Gradient Analytics and Rocker Partners as a "Trojan Horse" diversion tactic to the Securities and Exchange Commission in an effort to thwart their inquiries and later investigation of Overstock.com and him. In this blog item, I will analyze the conflicting, inconsistent, and contradictory allegations of the three former Gradient employees. After analyzing the inconsistent and contradictory allegations of three former Gradient employees, Demetrios Anifantis, Robert Ballash, and Darryl Smith, you have to wonder if they are the three stooges. As early as July 2003, Gradient Analytics had written research reports questioning Overstock.com's financial disclosures, accounting policies, business fundamentals, and corporate governance. In February 2004, Rocker Partners established a short position in Overstock.com. Months later, in July 2004, Rocker Partners became a customer of Gradient Analytics by subscribing to one of its services. On January 28, 2005, during Overstock.com's earnings conference call, a person identified by the pseudonym, Bob O'Brien (which he claims that he uses for security purposes) made a surprise appearance and claimed that there was a massive conspiracy to drive down the market price of the company's shares. His appearance was later discovered to have been staged by Patrick Byrne. Bob O'Brien was later discovered to be Phil Saunders, a retired medical equipment salesman. On August 12, 2005, during his much belittled Sith Lord conference call, Patrick Byrne revealed that the Securities and Exchange Commission started an informal inquiry of Overstock.com and him several months earlier around February 2005. In an interview on CNBC that same day, Patrick Byrne had claimed that he was "not supposed to officially know" about the SEC probe and that he had been anonymously "tipped off" about their inquiry. Byrne claimed that SEC probe "went nowhere" and he is an "open book." However, Patrick Byrne delayed disclosing the SEC inquiry until a day after Overstock.com filed a law suit against Gradient Analytics and Rocker Partners. About a year and a half later, in May 2006, the SEC started a formal investigation of Overstock.com, in contrast to Byrne's previous claim that their informal probe "went nowhere". On August 11, 2005, Overstock.com had filed a lawsuit against independent research firm Gradient Analytics and its client, Rocker Partners, a short seller. Three former Gradient employees (Demetrios Anifantis, Robert Ballash, and Darryl Smith) had signed sworn declarations aka affidavits alleging wrongdoing by their employer. They alleged that Gradient's research reports were purposely biased to benefit its customers and that it withheld publication of such reports to allow their clients to accumulate short positions prior to their issuance. Patrick Byrne has touted those affidavits as proof of an alleged conspiracy by Gradient Analytics, Rocker Partners, and possibly other clients to drive down the market price of Overstock.com shares. Around October 2005, based on the accusations of Overstock.com, Patrick Byrne, and the three former Gradient employees, the Securities and Exchange Commission started investigating Gradient Analytics. The SEC later cleared Gradient of wrongdoing in February 2007. Prior to clearing Gradient, on May 9, 2006, the Securities and Exchange Commission's informal inquiry of Overstock.com and Patrick Byrne turned into a formal investigation of possible wrongdoing by the company and Byrne, despite Byrne's claim in August 2005 on CNBC that it "went nowhere." The SEC investigation of Overstock.com and Patrick Byrne still continues. On May 17, 2006, the Securities and Exchange Commission served Patrick Byrne a personal subpoena. However, Overstock.com waited almost an entire year, until May 9, 2007, to disclose Patrick Byrne's personal subpoena. On May 10, 2007, Patrick Byrne had claimed that the SEC investigation was "not Overstock-centric" and that he was not the focus of their investigation despite the formal SEC probe and having received a personal subpoena from them. However, on August 10, 2007, Patrick Byrne finally admitted to being the "target" of a Securities and Exchange Commission investigation, in contrast to his previous denials. Patrick Byrne has accused the Securities and Exchange Commission of "behaving oddly" and "in a manner inconsistent with its duties as a regulator" dating to early 2005, around the time that he was tipped off about their inquiry. Apparently, Patrick Byrne's Trojan horse diversion with the Securities and Exchange Commission has backfired and made him the unwanted focus of their investigation. If Patrick Byrne's Trojan horse diversion with the Securities and Exchange Commission resulted in failure, how can Overstock.com and its co-plaintiffs possibly expect to win their litigation against Gradient and Rocker? Darryl Smith was fired by Gradient Analytics allegedly for poor performance in October 2003, several months before Rocker Partners shorted Overstock.com in February 2004 and before they became a customer of Gradient on July 2004. He makes no mention of Rocker Partners in his sworn declaration aka affidavit. Major parts of both Robert Ballash and Demetrios Anifantis’s sworn declarations, as I detail below, are inconsistent and contradict other facts. Anifantis later omitted any mention of Rocker Partners to a Senate committee investigating hedge funds in remarks apparently prepared by an Overstock.com attorney on his behalf. Let's examine the timeline of events in more detail. According to documents obtained by the New York Post, both Anifantis and Ballash were fired for "violations of Gradient's corporate policy" contrary to assertions by them that they were dismissed for asking questions about alleged improprieties. The New York Post reported that both Anifantis and Ballash were client-relationship managers and not involved in research production at Gradient. In such a case, how could either Anifantis or Ballash know if reports were actually biased or untrue if they were not involved in the preparation, editing, and issuance of Gradient's research reports? However, Anifantis does not state in his affidavit whether Gradient's reports contained any untrue statements of material facts. In fact, while Demetrios Anifantis has alleged that Rocker Partners suggested "more negative treatment of Overstock than was reflected" in Gradient's reports, he admitted in his sworn declaration aka affidavit that he "had no way to determine whether any of the information Rocker provided was inaccurate." Antifantis was dismissed Nov. 12, 2004 for forwarding Gradient's client list to his personal e-mail account, a violation of corporate policy. Ballash left the firm on the same day. E-mails between Ballash and Antifantis from Sept. 10, 2004 indicates that both men appeared to have anticipated getting dismissed, according to the documents. One message from Ballash - who had just sent his supervisor a stern message - joked, "Hopefully they'll fire me." Did any of those e-mails that were sent between Anifantis and Ballash discuss any wrongdoing by Gradient that appeared in their later affidavits? My guess is probably not, since such emails were apparently released to the New York Post. Demetrios Anifantis lost repeated attempts to gain unemployment insurance. There is no indication that Ballash had applied for unemployment insurance benefits. I doubt that Ballash even bothered to apply for unemployment insurance and even if he did apply, I doubt that he ever received any benefits. Neither Ballash nor Anifantis had mentioned any allegation of wrongful termination by Gradient in their sworn declarations. If Demetrios Anifantis was fired because of his allegations of wrongdoing by Gradient, wouldn't Anifantis want to allege wrongdoing by his former employer to counter their claims that he was fired for cause? My guess is that Anifantis never made any such allegations of wrongdoing when he attempted to gain unemployment benefits, since he made no claim of wrongful termination in his sworn declaration. Such allegations of wrongdoing by an employer would have been taken seriously by the unemployment hearing officers. If Anifantis had made no allegations of wrongdoing by Gradient in his efforts to counter his former employer's assertion that he was terminated for cause, we have to ask if Anifantis made up the allegations contained in his sworn declaration aka affidavit to Overstock.com. Even if Anifantis had made such allegations of wrongdoing by Gradient in his efforts to gain unemployment benefits, apparently the hearing officers at unemployment did not believe him. Evidently, the SEC did not believe the allegations of Anifantis or the other two former Gradient employees, too. As noted above, the SEC later terminated its probe of Gradient in February 2007 and cleared it of wrongdoing. We will find out the answers to such questions as discovery in Overstock.com litigation proceeds. Now Byrne is trying to back up his allegations with declarations [aka affidavits] from three former employees of a stock-research firm called Gradient Analytics Inc. He says the declarations support his contention that Gradient negatively adjusted its research on Overstock.com at the request of David Rocker's Rocker Partners LP, a hedge fund that has acknowledged taking a bearish short position in Overstock's shares. Gradient had been publishing reports on Overstock.com since July 2003, before Anifantis began working at Gradient in November 2003, and before Rocker established its short position in Overstock.com in February 2004. After establishing its short position in Overstock.com, Rocker became a Gradient subscriber in July 2004. Gradient's reports were critical of Overstock.com's financial disclosures, accounting policies, business fundamentals, and corporate governance before Rocker shorted Overstock.com, and before Rocker became a subscriber to its reports. Since Anifantis began employment at Gradient in November 2003, he should have at least known that Rocker was not a client prior to July 2004. According to a sworn declaration aka affidavit signed by David Rocker, "Rocker Partners was introduced to Gradient by a third-party marketer, Sagient Research Systems." So, how could Rocker request reports from Gradient in 2003 when they were not a customer until July 2004? The Wall Street Journal interviewed Antifantis for their article. His "restated and amended" affidavit was dated September 1, 2005. Therefore, he had plenty of time to review his original affidavit and his second "restated and amended" affidavit, prior to being interviewed by the Wall Street Journal article, published on September 28, 2005. As for when Rocker became a Gradient client, he said, "Just because they don't have a paying relationship doesn't mean they don't have influence." An interesting question during the discovery process would be, does Gradient keep records of contacts with its clients? If such records were kept, it would be interesting to see if Anifantis logged any calls with Vickrey and Rocker. If there are no such records of such calls, Anifantis cannot substantiate his allegation that he participated in such calls. Some customers paid more fees for additional reports and several requested many reports on companies in a particular market segment. These customers requesting more reports were known to be large hedge funds with net short positions in the companies they were requesting reports on. Some of these were very aggressive and straightforward in their suggestion of what the negative content of the report should include. Rocker Partners makes no special payments to Gradient. In fact, it subscribes to only one of the several services that Gradient offers its clients - the Earnings Quality Analysis - for which Rocker Partners pays Gradient a standard fee of $40,000 per year. The question arises as to why would Gradient put its entire business at risk for a single customer out of over a hundred customers? As detailed above, Gradient was publishing its reports on Overstock.com before Rocker started shorting Overstock.com and before Rocker became a Gradient subscriber. According to David Rocker's sworn declaration, Rocker Partners made "no special payments" to Gradient for additional reports. Rocker merely subscribed to Gradients' "Earnings Quality Analysis" which is standard reports available to all customers who pay for such subscriptions. As a customer representative, Anifantis would surely know that Rocker made no special payments to Gradient for additional reports. October 11, 2005: The Securities and Exchange Commission was hot to trot based on Patrick Byrne's statements and the allegations for three former Gradient employees. As detailed above, according to Patrick Byrne, the Securities and Exchange Commission began an inquiry of Overstock.com in February 2005. Now armed with affidavits from three former Gradient employees, he could turn the SEC's focus towards his perceived enemies - Gradient Analytics and Rocker Partners. 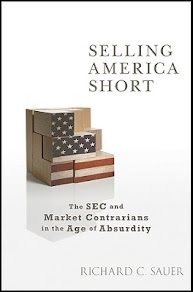 In October 2005, the Securities and Exchange Commission took Byrne's bait and investigated Gradient. In letters dated Oct. 11, Mark Fickes, an attorney with the SEC's Division of Enforcement, acknowledges the cooperation of ex-Gradient employees Daryl Smith, Demetrios Anifantis and Robert Ballash and provides a case number for the probe. Included is a document advising them of their rights as witnesses in possible enforcement proceedings. According to the Salt Lake Tribune article (above), Brent Baker was representing the former Gradient employees in November 2005. According to his Linkedin profile, Brent Baker was hired as Deputy General Counsel of Overstock.com about ten months later in September 2006. If the information in the Salt Lake Tribune article is correct, Overstock.com ended up hiring the attorney representng the three former Gradient employees. Reached at his home in Scottsdale, Ariz., Ballash said SEC questioners seemed particularly interested in details during his hour long recorded interview under oath, including identities of alleged participants in key conversations and decisions involving Gradient reports. "They asked background questions about various relationships [at Gradient], who was there at meetings, how all that kind of worked," Ballash said. "It seemed like they were fact finding; they already had a good feeling for the case in general." Daryl Smith, who was terminated by Gradient for poor performance in October 2003, was in no position to make any allegations of collusion between Rocker and Gradient. Rocker Partners did not short Overstock.com until February 2004 had not become a client of Gradient until July 2004. There is no indication that Smith ever applied for unemployment insurance or if he did apply for such benefits that he indicated that he was not fired for cause. Smith's affivadit makes no mention of any allegation that he was wrongfully fired by Gradient. Robert Ballash's sworn declaration aka affidavit, as described below, contained major inconsistencies and contradicts other facts. First, I never heard of Donn Vickrey or Gradient/Camelback until well after I left TheStreet.com in April of 2004 to join MarketWatch. Furthermore, I didn't write about Overstock until October 2004 -- long after my departure from TheStreet.com. The first mention was in a column headlined, "Did Overstock CEO cross the line?" 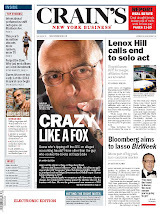 Both Robert Ballash and Demetrios Anifantis had alleged that Herb Greenberg logged into Gradient's web site while working for the TheStreet.com. However, Greenberg did not even hear of Gradient until after he left TheStreet.com and could not have accessed its site until after leaving his former employer. Herb Greenberg wrote his first article about Overstock.com while employed at MarketWatch.com (owned by the Wall Street Journal) on October 26, 2004, less than three weeks before both Anifantis and Ballash were fired from Gradient. Greenberg's first article about Overstock.com entitled, "Did Overstock's CEO cross the line? Commentary: Lashes out at critics in e-mails," had nothing to do with Overstock.com's business fundamentals or financial issues. Therefore, it is unlikely even at that time that Greenberg was accessing financial data from Gradient's web site. Apparently, Byrne had no issue that his ridiculous and despicable comments would be published by Greenberg as he took pride in them. So where is the setup? Byrne sends Vickrey an email, Vickrey sends Greenberg Byrne's email, Greenberg asks Byrne for confirmation of his email to Vickrey, and Byrne proudly stands by it. Greenberg made no secret of how he obtained Byrne's email. Greenberg dealt with the issue of Byrne's email to Vickery in a transparent manner and Byrne was proud of his email, so there could be no setup. Herb Greenberg's MarketWatch.com article was critical of Byrne's behavior regarding Gradient but did not discuss anything about Overstock.com's fundamentals. Anifantis had alleged that he, "heard Greenburg [Greenberg is misspelled] call multiple times to discuss many different reports with Vickrey, including Overstock." He claimed that "Rocker, Vickrey, and Greenberg were coordinating their attacks on Overstock and Vickrey and Greenberg were coordinating the content and timing of their various reports on Overstock to please Rocker." However, Herb Greenberg's first article about Overstock.com's fundamentals was not written until February 2005, three months after Anifantis and Ballash were fired by Gradient. Greenberg only began writing about Overstock.com after he left TheStreet.com. 42. At one point, Brian Harris was retained by Camelback [former name for Gradient] to draft research reports on particular companies. Brian Harris ("Harris") is directly affiliated with www.thestreet.com and Herb Greenburg. Camelback did not disclose that Harris had prepared these reports. Harris is listed on www.thestreet.com as the associate editor of a column called Street Insight. [Emphasis added]. The reason that Ballash had not seen any billing statements or invoices showing that Gradient/Camelback paid Harris was that Gradient never hired him. Gradient gave Harris a two week tryout and he did not write any reports during his tryout. Brian Harris could not have been working for Herb Greenberg during the time frame claimed by Anifantis or Ballash, since Greenberg left TheStreet.com in April 2004 and Harris's tryout period with Gradient was in the fall of 2004. Brian Harris lives in Oregon. Such a drive to a location in Seattle, Washington would be about 4 hour commute each way for Brian Harris. Well, between the lawyers who drew up the former Gradient employee's sworn declarations and the supposed witnesses that signed them, no one could get the spelling right on Herb Greenberg's last name. Rocker Partners owns a stake in TheStreet.com but according to David Rocker's sworn declaration aka affidavit "exercises no editorial control over its content." Perhaps in haste, Overstock.com led by Patrick Byrne was hastily trying to throw as much crap at Rocker Partners as possible, hoping something would stick. October 14, 2005: Despite the distortions raised in the Wall Street Journal article, and contradictions raised by Herb Greenberg, Patrick Byrne had claimed that the three former Gradient employees were "extremely credible, stand up guys" and that he had "spent hours with Demetrios" Anifantis. I have met with all of affiants. I find all three extremely credible, stand up guys. I have spent bare minutes with two of them, but have spent hours with Demetrios. As detailed above, Darryl Smith left Gradient in October 2003 before Rocker shorted Overstock.com in February 2004, and before Rocker became a Gradient client in July 2004. It is understandable why Byrne did not spend much time with Smith. Robert Ballash had alleged that it was "very apparent" to him that Rocker intended to short Overstock.com prior to the publication of reports by Gradient. He claimed that David Rocker and Marc Cohodes (from Rocker Partners) discussed with Donn Vickrey the content of Gradient’s reports before publication. However, Ballash provided no specific details about those allegations regarding Rocker Partners. It is understandable why Patrick Byrne spent little time with him, too. The only former Gradient employee who actually provided some details about his allegations regarding Rocker Partners in his affidavit was Demetrios Anifantis, who lost repeated attempts to gain unemployment benefits after being fired by Gradient for cause. About nine months later, in July 2006, Anifantis would fail to mention Rocker Partners in prepared testimony to a Senate committee investigating hedge funds, although such testimony was apparently authored by an attorney representing Overstock.com. As reported by the New York Post (above), at least one of the former Gradient employees, Demetrios Anifantis, had applied for unemployment benefits shortly after being fired by Gradient in November 2004. After multiple appeals for unemployment benefits, the state of Arizona turned him down. However, almost a year after Anifantis's termination and the months after the denial of unemployment benefits by the state of Arizona, in October 2005, Patrick Byrne claimed that the former employees, including Anifantis "want to amend their affidavits to cover the issue of their termination." If the three former Gradient employees were actually terminated for reasons other than rightful cause, they should have been able to collect unemployment benefits. None of the former Gradient employee's sworn declarations alleged that they were wrongfully fired. On February 7, 2006, the Securities and Exchange Commission subpoenaed three financial journalists who Patrick Byrne had accused as being in collusion with short sellers to drive down Overstock.com's stock price. The three journalists who received subpoenas were Herb Greenberg (CNBC contributor, Wall Street Journal and MarketWatch columnist) Carol Remond (Dow Jones News Wire writer) and Jim Cramer (CNBC Contributor and co-founder of TheStreet.com which is part owned by Rocker). All of the three financial journalists have been the subject of intimidation, harassment, disparaging attacks, smears, and ridicule by Patrick Byrne and his cronies. The Securities and Exchange Commission later dropped their subpoenas of the three financial journalists. It appears that the Securities and Exchange Commission was beginning to have the same conclusions as Herb Greenberg about the credibility of the former Gradient employees. On May 17, 2006 the Securities and Exchange Commission sent Overstock.com CEO, Patrick Byrne, a personal subpoena. Overstock.com failed to disclose Byrne's subpoena until May 9, 2007, almost an entire year later. Did the Securities and Exchange Commission sense that they had been handed a Trojan horse by Patrick Byrne in the form of former Gradient employees that claimed to have the goods on Gradient and Rocker? Meanwhile, a United States Senate Committee was hot to trot. However, as detailed below, Anifantis balked at naming Rocker as he did in his prior sworn declaration. On June 28, 2006, Demetrios Anifantis testified to a Senate Committee investigating hedge funds. He failed to mention Rocker Partners despite his previously sworn allegations contained in his affidavit and that it would have highly relevant to the subject matter of the hearing. In addition, he fails to mention his faulty detailed time line of events that he outlined to the Wall Street Journal (see above) and in his sworn declaration. However, Anifantis either failed to mention such allegations against Gradient in his efforts to obtain unemployment benefits or if he did mention such allegations, the state of Arizona did not believe him. How could Anifantis claim to a Senate Committee under oath that he was fired as a result of asking questions about alleged wrongdoing by his former employer if he either did not mention such allegations in his attempts to gain unemployment benefits or if he did mention such allegations, the unemployment hearing officers did not believe him? The Senate Committee did not bother to call other former Gradient employees as witnesses. Herb Greenberg has pointed out that Anifantis's testimony was a script authored by an attorney representing Overstock.com, who had previously represented Anifantis. How independent is Anifantis? Did he write and/or edit his own testimony? If not, who did? For a clue, look no further than a copy of the transcript he provided to the Senate Judiciary Committee, a copy of which I've obtained. Scroll down the "file" menu at the top of the "Word" document to "properties." Click on "summary." It says the author of the report is "mgriffin." Company: "Overstock." Did Patrick Byrne attempt to throw the Securities and Exchange Commission off his trail? Why would Overstock.com and not a separate attorney hired by Anifantis help prepare him for such testimony? Was Anifantis coached by Overstock.com? Since Mark Griffin, an attorney working for Overstock.com was listed as the author of Anifantis's testimony it is very peculiar that such testimony did not mention Rocker Partners. Was Anifantis afraid of perjuring himself in front of a Senate committee? While Mark Griffin was not Overstock.com's General Counsel, he was hired by Overstock.com to handle its litigation. Apparently, in a highly unusual move, Overstock.com hired Demetrios Anifantis's attorney, Mark Griffin to conduct its litigation after Anifantis provided them with sworn affidavits alleging wrongdoing by Gradient. Similarly, according to the Salt Lake Tribune article above, Brent Baker was representing the three former Gradient employees in November 2005. He became Overstock.com's Deputy General Counsel in September 2006. Why was Overstock.com hiring attorneys who had represented the former Gradient employees? It is apparent that the Securities and Exchange Commission after conducting thorough investigation found no credibility in the allegations made by Overstock.com, Patrick Byrne, and the three former Gradient employees. However, the SEC still investigating Overstock.com and in August 2007, Byrne admitted to being the target of their probe in contrast to his previous denials. On May 9, 2007, Overstock.com finally disclosed in its 10-Q that Patrick Byrne received a personal subpoena from the Securities and Exchange Commission about a year earlier on May 17, 2006. Why did Overstock.com exclude such a disclosure of Byrne's personal subpoena from its previous reports filed with the SEC? Byrne has claimed that a statement he made a year earlier, on May 9, 2006 (when the SEC began a formal investigation of Overstock.com after over a year of informal inquiry) explains the personal subpoena that he did not receive until over a week later on May 17, 2006. "I may be the first CEO in history to celebrate receiving an SEC subpoena. Some of the requests suggest the whispering of the blackguards, but I remain unconcerned about their hokum...."
Was Patrick Byrne attempting to put his best spin forward on an apparent reversal of fortune by celebrating an SEC subpoena? His reference to "blackguards" in his above remark (a term Byrne often uses to call his perceived enemies) indicates that we was concerned about the focus of the SEC investigation into Overstock.com and him. On May 10, 2007, while attempting to deflect from the news of Overstock.com's belated disclosure of his personal SEC subpoena, Patrick Byrne suggested that Overstock.com and he was not the target of a Securities and Exchange Commission investigation. The funny part is how it still has not dawnede on the miscreants that a fair bit of the material being requested by the SEC concerns THEM, not me or Overstock. However, on August 10, 2007, in contrast to Patrick Byrne's previous denials (above) that he is not the focus of a Securities and Exchange Commission probe, Byrne finally admitted that he is in fact, "the target of their investigation."